Yoshiaki Koizumi (in Japanese: 小泉 歓晃; born April 29, 1968) is the director of Super Mario Sunshine, Donkey Kong Jungle Beat and Super Mario Galaxy. He also worked on significant contributions to other major Mario games, such as Super Mario Kart, Super Mario World 2: Yoshi's Island, and Super Mario 64, but under different roles. 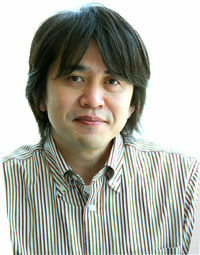 Since 2013, Yoshiaki Koizumi works as a director for 1-UP Studio. Yoshiaki had wanted to always create a boss fight in which the character had to climb up on top of the boss. He tried to create Ganondorf this way in The Legend of Zelda: Ocarina of Time but decided the fight would be too difficult. Later, in Super Mario Galaxy, he was able to try this concept again with the boss Megaleg. Yoshiaki wanted to create more missions in which Luigi had to be found by Mario, but ran out of time and scrapped them. Yoshiaki was the writer of Rosalina's Storybook in Galaxy. He wrote the story at night, without anybody knowing what he was doing. The following day, he presented the story to Shigeru Miyamoto, who was surprised when Yoshiaki told him nobody knew about it. Yoshiaki also states that he would like Rosalina's story to be made into a real children's book. This page was last edited on December 1, 2018, at 15:42.